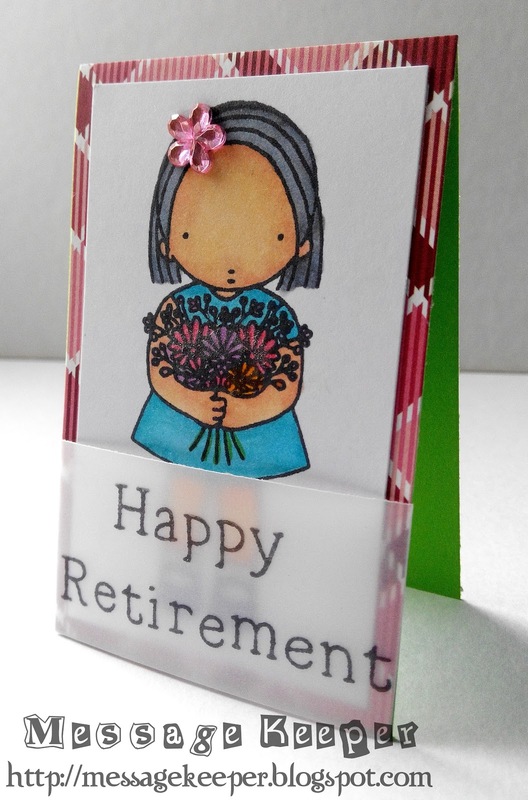 Making this card for my daughter's Morale teacher who is retiring next week. 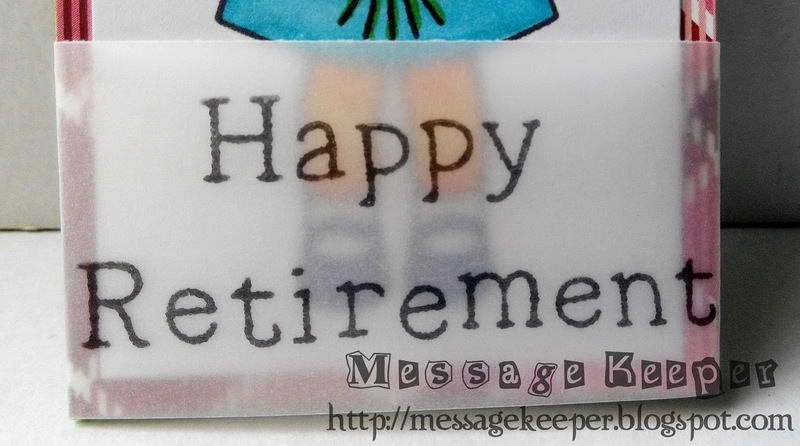 I am making a mini card, size of a gift card as I plan to put this card inside a gift bag with a small present. Thus, I keep this card clean and simple due to its limited size. 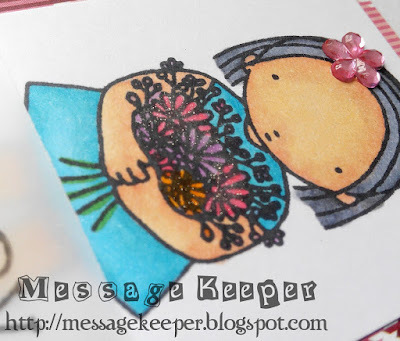 First, a girl holding a bunch of flowers image is stamped on a white card stock and colored using Copic markers. Then, it is attached onto a red-pink plaid pattern paper. 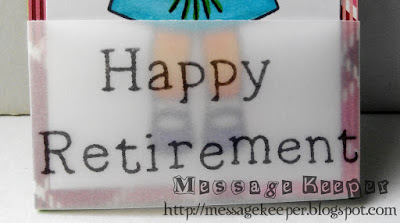 The sentiment is customized using alphabet stamp and stamped onto a vellum. It is attached onto the girl image at the bottom. Then, the whole panel is attached onto a green card base. 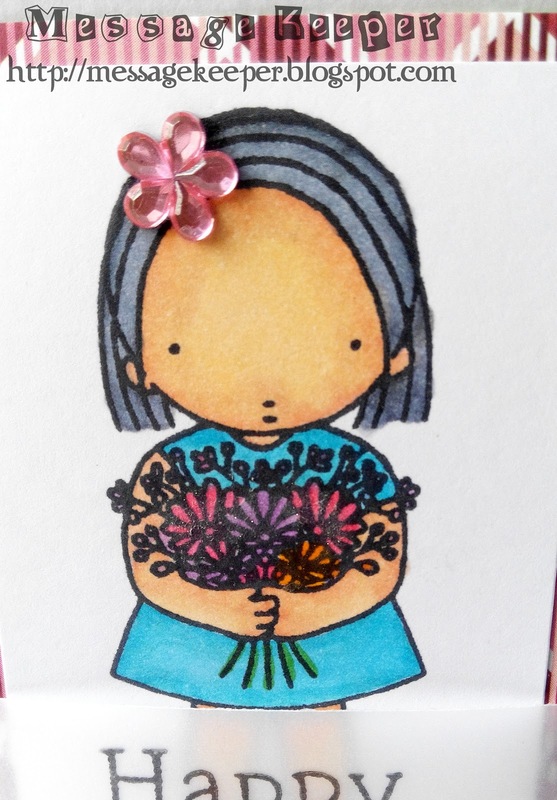 As final touch, some shimmer is added to the flowers and a pink flower shaped gem is attached onto the girl head. 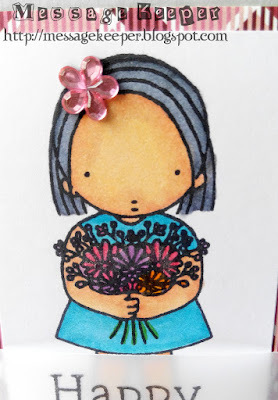 Dimension : Gift card or 3.25" x 2.25"
Oh what a cute little card.